I like being drunk. 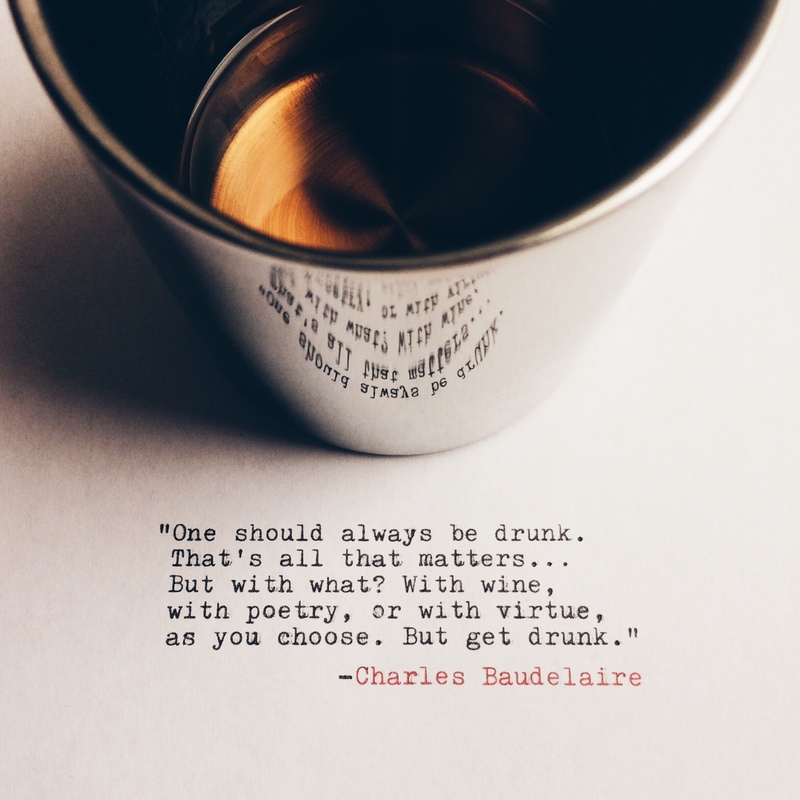 On booze, on fiction, on writing, on love, on beautiful sentences. Maybe that’s why I’m so discontent on a daily basis; my day job can be quite sobering most of the time. At least it’s Friday. Here are my 3 things for the week. 1. I adore Tumblr. Have I mentioned that? Nearly everything good I find on the internet (like the image above) either comes from or has some point been on Tumblr. What’s more, people are nice to each other there. Come join me: there’s my personal Tumblr, where I blog photos, quotes, and a mini-journal. Then there’s the Tumblr I started just to record all my favorite sentences. 2. This article on why it’s important for writers to talk about where their money comes from really spoke to me. 3. I admit I don’t read fanfiction but I know how big a thing it is (I am on Tumblr, after all). I even downloaded Wattpad to look into it more. But … I just can’t find anything I want to get into. The problem is that I like my writing polished and my prose beautiful, and Wattpad is full of first drafts. Also, when I read poorly written fiction, it tends to seep into my own writing. Am I being snobby? Is there good stuff on Wattpad? Anyway, this article is really helpful for those who are curious on the entire phenomena. Reading: I just finished The Beginning of Everything and I have mixed feelings. I just started Isla and the Happily Ever After and I’m already sure I’m going to love it as much as Stephanie Perkins’s other two novels. If you’re looking for light but well-written, romantic YA, pick all her books up immediately. Watching: I just started watching Sherlock on Netflix. I have no idea what took me so long. Listening to: Radical Face. It’s lovely and haunting. Next > The Best Attitude for Traveling: Why Not? I like to be drunk with traveling. Reblogged this on bears goats and strawberries.